Bradford is a cultural and heritage city. Bradford also has all the destinations, restaurants, theatres and nightclubs you could possibly dream of. 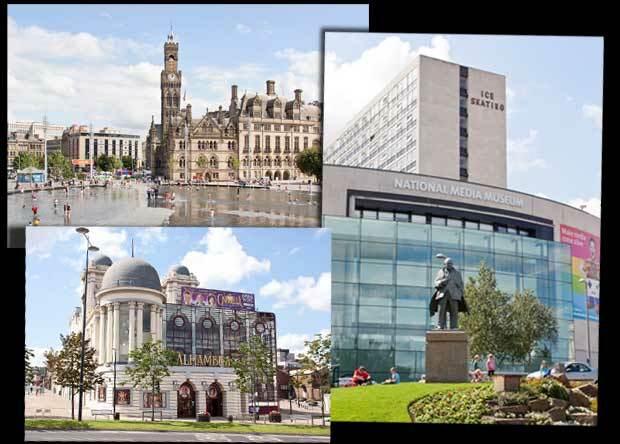 Great theatres and nightlife is something which make this Bradford city stand above many other Towns and Cities. So when you are planning a night-out with your friends or family or simply want to spend some enjoyable hours just enjoying yourself in Bradford, surely no other place can be better than Bradford. Travel in one of the most luxurious vehicles available and enjoy the chilled bubbly and music enjoying an amazing journey with your friends. Our limo hire Bradford services will add the extra spice into your party. These buses are of course highly suitable for when you are planning to eat out in one of the many Bradford restaurants. Equally, these wonderful vehicles are suited for wedding parties, birthday parties, engagement nights out, wedding anniversary, school proms, shows hen and stag nights and concerts in at one of the many theatres in Bradford. Why not go for our really cheap deals on luxury limo hire services and make your journey rock, and when you reach your Bradford destination, you find yourself in a great mood to start your evening off in Bradford. We take the doubt out of who to book with. Our fleet are all top quality as are our chauffeurs. Go ahead and complete the booking form or call us and you can look forwardto partying in Bradford. Our fleet of party buses have cleaver interior lighting systems and quality music sound systems to help you party while travelling to your Bradford destination. Male and or Female Hostess can be provided on your request. When it comes to ambience think of Star Limos for Limo Hire Leeds. Our fleet of limos are some of the best luxury vehicles out there in West Yorkshire. Star Limos in Leeds is a member of National Limousine and Chauffeur Association (NLcA) which assures you the customer of the quality and safety requirements set by for your utmost care and safety. Contact us to hire Bradford Party Luxury bus hire for all occasions or for your stretched Limousine or your wedding cars and executive car hire in Leeds.